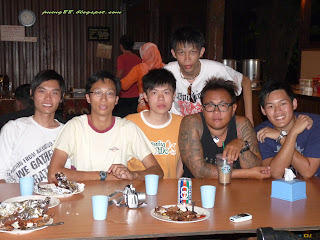 As I have promised, I will write on my Scuba Diving journey. Redang is considered one of the best beaches in Peninsular, the white sandy beach and the clear blue sea is good enough to make you stay there for quite sometime. Is my first time there and i am totally impress by the beautiful sea and the sandy beach. 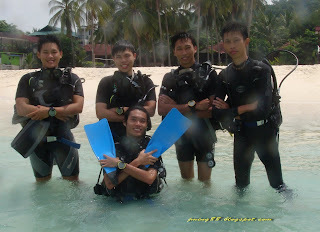 As I had stated in previous post, one of the things I wish to do was to obtain my scuba diving lisence and here I am at Redang taking my first step into the sea. 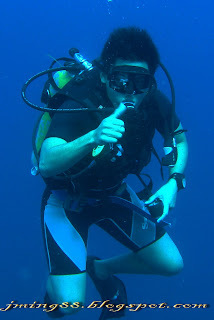 There are a variety of certifying agencies like NAUI, PADI, SSI, SDI and BSAC you can choose from. 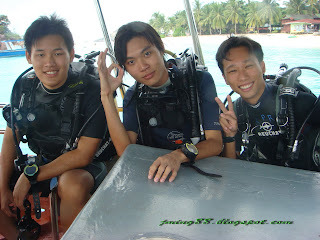 Initially our plan is to go for PADI since is more well known due to its strong publicity but we ended up taking Scuba Diving International SDI when we were there in Redang as the instructor strongly recommended SDI to us, don't ask me why because I have no freaking idea at all. Well, to those of you who are planning to go for scuba diving as well, don't worry too much about the certifying agencies because you can switch and change to any agency if you want to. 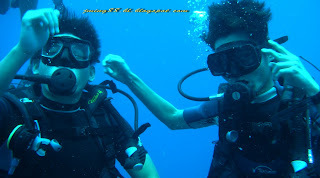 For example, I have my SDI open water certificate and it is allowable for you to take advance in PADI or other agency. I fell in love with diving immediately after my first Boat Dive at Pulau Paku Kecil, one of the dive sides in Redang island. The feeling underneath the ocean was extremely beautiful and peaceful. Everything seems to be in a very slow pace underneath the ocean, the fish are swimming slowly the corals are swaying following the current. All you can hear is the sound of your inhale and exhale through your breathing regulator. 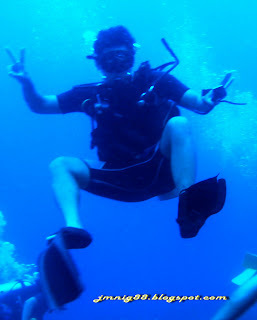 So here are some of the pictures taken during my dive there. 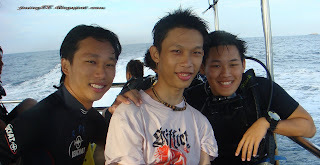 Thanks to Eddy for renting the camera and becoming our underwater photographer, we get to keep our wonderful memories. agree with barney.. nice！ nice! !